White is serene; white is classic. Here bringing a gorgeous 'below-knee' dress in white colour. The golden print on the white base has a very elegant appeal. The dress has a brilliant silhouette with a round neck, side gathers and three-fourth sleeves. 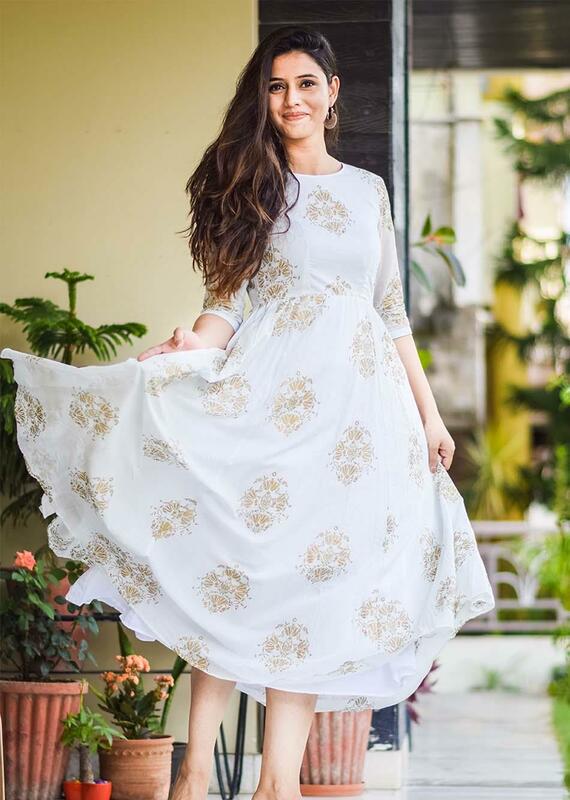 It is an apt dress to put on for outings or small day parties. It is made of 100% cotton fabric.